Tree trimming is a good maintenance task to keep your roof maintained this fall. Fall is here and the leaves are starting to change colors! This is a very important season for roof maintenance as you will be prepping your roof for the rigors of heavy ice and snow that winter brings. Now is the best time to get any roofing problems taken care of. Here are some roof maintenance tips to ensure your roof has the longest life possible. You’ll notice the branches on your trees getting a little too close to your home for comfort once the leaves start to fall. 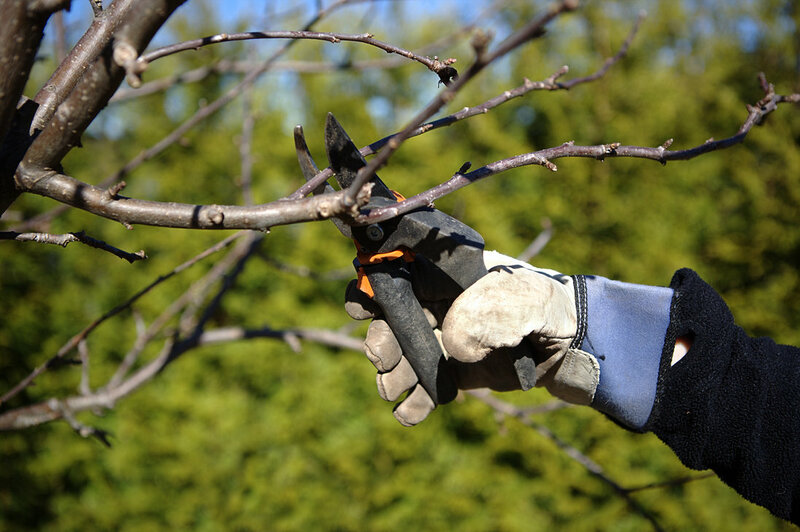 Get these branches trimmed back so they don’t damage your home later. Done early enough, it may even minimize the leaves that clog your gutters! Clogged gutters lead to water splashing back onto the roof, which can lead to cracking, mold, and other damage. Clean your gutters before the leaves start falling and keep an eye on them as fall progresses. Doing so will keep water flowing properly off your roofline. Installing gutter guards is a great way to make your fall maintenance chore list much easier to handle. These guards are installed on top of the gutters and keep leaves from falling in, while still allowing water to flow into them. This makes gutter cleaning a much simpler task! It is easier to repair any roofing problems during the fall than it is during the winter. So it is a great idea to have someone come out to perform a pre-winter roof inspection so any fixes can be made before the weather starts to turn. If you wait too long, you may be opening the door to bigger problems down the line. If the inspector finds that repair work needs to be done on a part of your roof, it is better to take care of it now rather than later. Small problems in the fall can transform into much bigger problems in the winter. Proper fall roof maintenance is the key to avoiding excessive repair costs down the road! This entry was posted on Friday, October 14th, 2016	at 1:39 pm	and is filed under Roofing Maintenance	. You can follow any responses to this entry through the RSS 2.0	feed. Both comments and pings are currently closed.